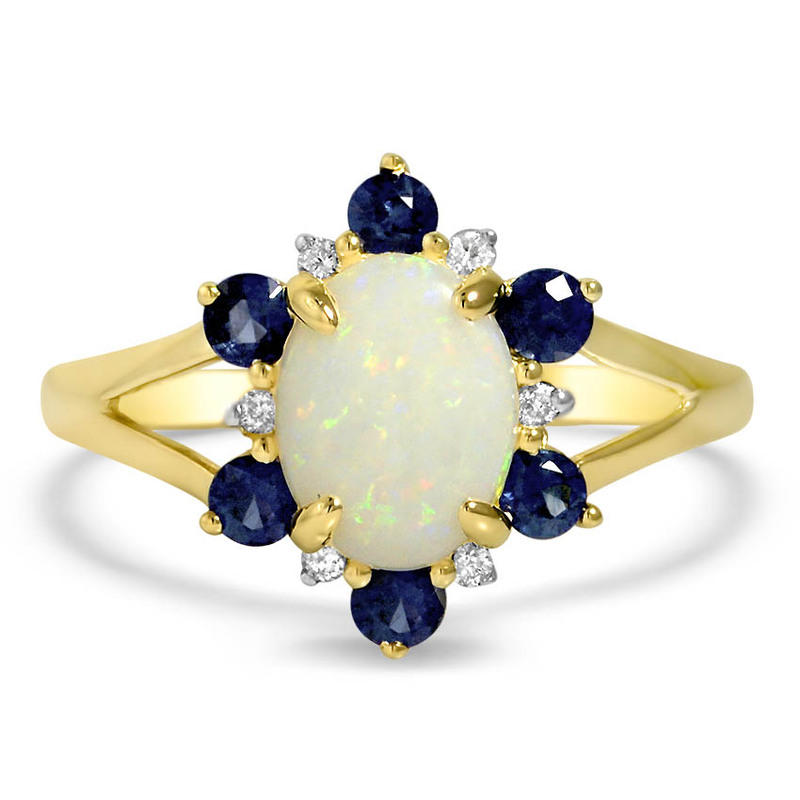 This elegant Retro-era ring showcases an oval-shaped natural opal cabochon surrounded by a halo of round natural sapphire and round brilliant cut diamond accents. The 14K yellow gold band splits at the shoulders adding to the feminine look of this gorgeous ring (approx. 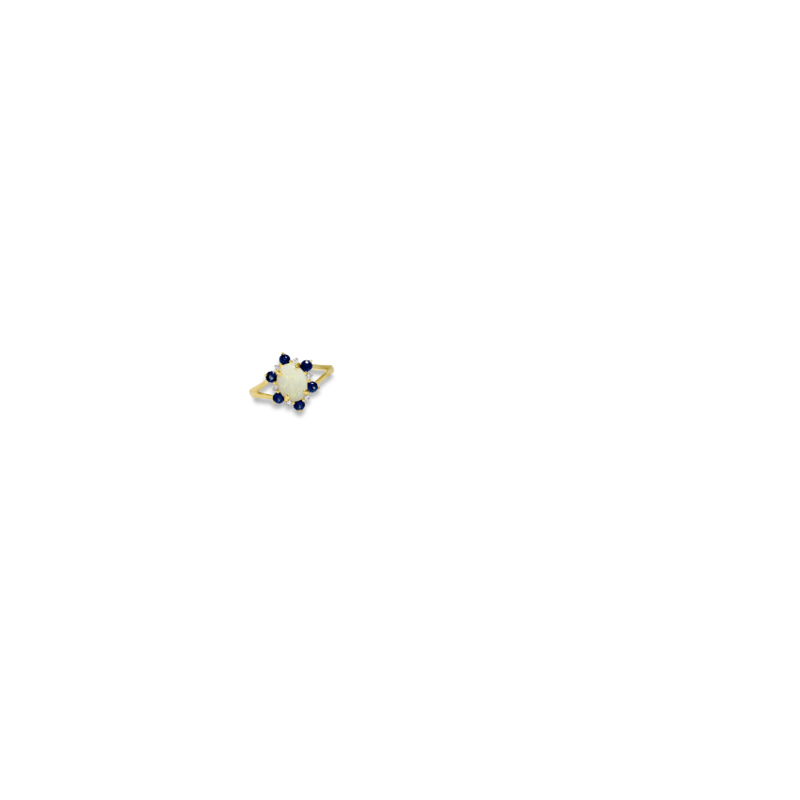 0.06 total carat weight).